Policy change starts with an informed public. I use a variety of media platforms to engage with the public about science, policy and environmental issues. Through media, I offer a lens for the public to peer through, fostering intimacy with remote places, like the Ross Sea, Antarctica. For more videos, check out my youtube channel. Every one of my four trips to the Antarctic has been a great gift and privilege and one that I try to share with the world. What started as long and descriptive emails to my mother, siblings and friends, has turned into blogging for education and conservation non-profits and most recently for National Geographic's Ocean Views Blog. Check out my author page, here. In the past, I've also contributed to a variety of other blogs and projects, including the San Francisco Exploratorium's "Ice Stories: Dispatches from Polar Scientists." As well as: The Conversation and E-International Relations. Since my first popular publication in Orion​ magazine in 2007, I've continued writing about science, environment, health, and culture, in long feature form, short briefs and most recently, opinion editorials. 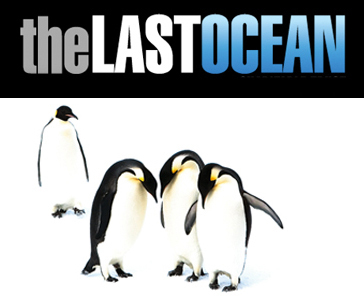 The Last Ocean is an international outreach effort focused on protecting the Ross Sea, Antarctica, a region characterized as the most pristine large marine ecosystem on Earth. We produced an award-winning documentary, website, photography shows, social media and more. 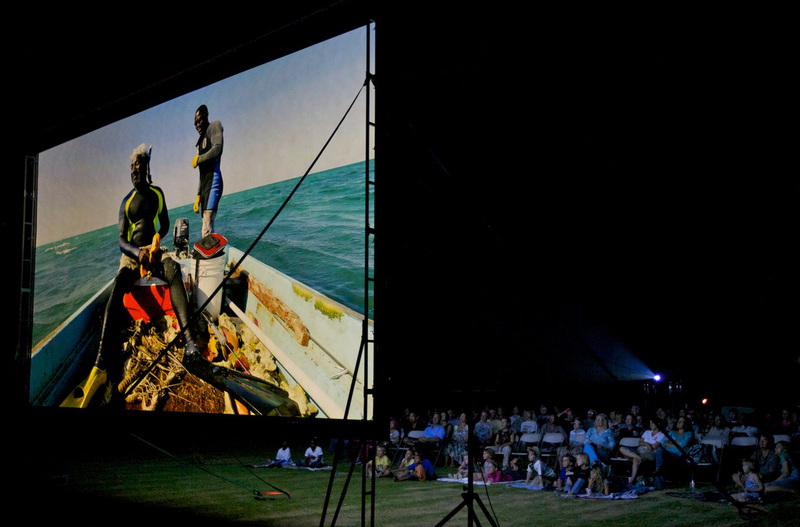 The Ocean Voice & Ocean Outdoor Theater are grand outreach efforts focused on using high impact media to influence policy change and ocean conservation outcomes. Project areas include shark sanctuaries in the Bahamas, Micronesia and Indonesia and marine protected areas in Indonesia. In addition to producing media, I think its incredibly important to make time to talk to journalists and media correspondents. 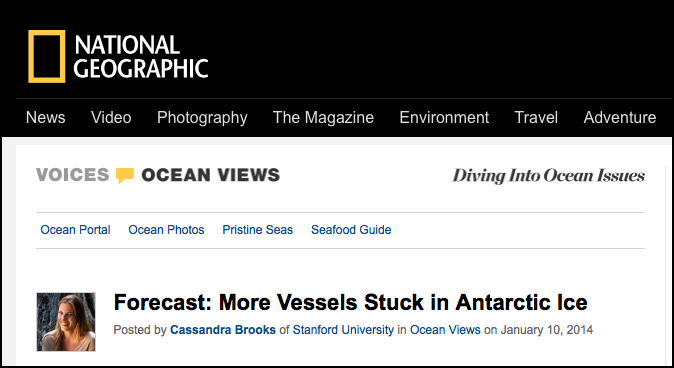 My work in the Ross Sea has been featured during the last year in a variety of outlets, including news stories in The Washington Post, BBC, Financial Times, Audubon, Spiegel (Germany), and La Repubblica (Italy); audio podcasts and news in the Australian Broadcasting Corporation, Generation Anthropocene, Speak Up for Blue, and Wild Voices; and video coverage in Reuters. 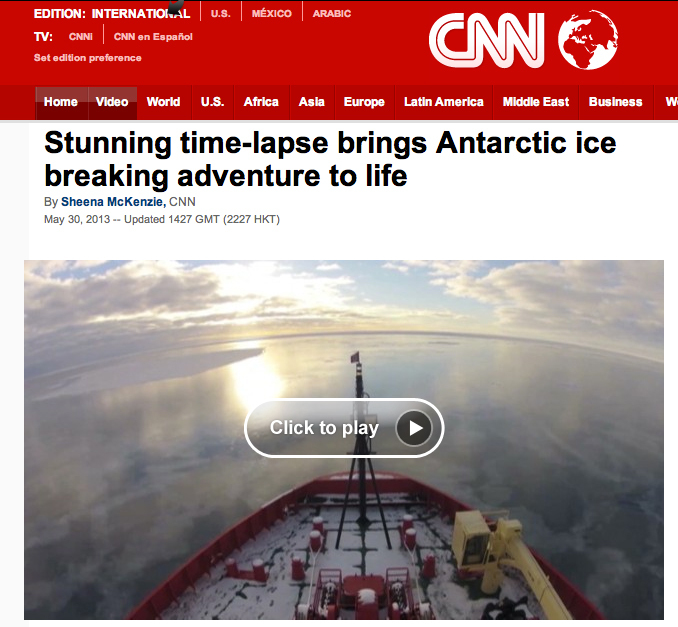 In 2013, my video Two Months Breaking Ice in Antarctica's Ross Sea (Timelapse in Under Five Minutes went viral, reaching every country in the world. News outlets that featured the video included CNN, Washington Post, Smithsonian, The Atlantic, Live Science, Imaging Resource, and The New York Times.